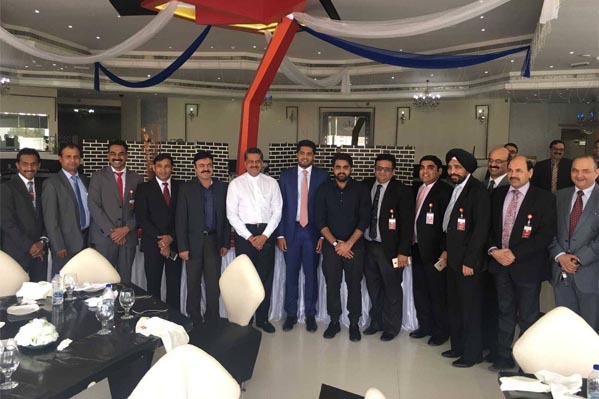 Mr. Akram Moideen Thumbay, Director Operations – Construction & Renovation Division of Thumbay Group formally took office on Wednesday, 10th February 2016. 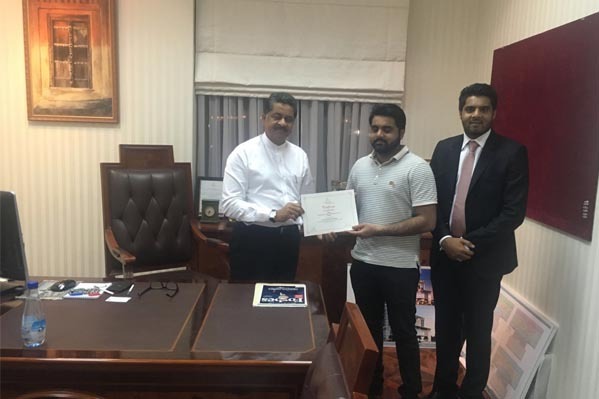 He was officially welcomed aboard by Mr. Thumbay Moideen – Founder President of Thumbay Group, in the presence of Mr. Akbar Moideen Thumbay – Vice President of the Healthcare Division of Thumbay Group. Mr. Akram is also a member of the ‘Thumbay Group Board’, a five-member board chaired by the Founder President which implements the strategic plans of the Group. Mr. Akram completed his Bachelor of Business Administration (BBA) degree from the American University of Sharjah, specializing in Management and Finance in 2010. He has also done BA (Hons.) – Management from the University of Northampton and Master’s Degree in Entrepreneurship from the University of Surrey. He will now direct the operations of Thumbay Builders, the high-end general construction company operated by the Construction & Renovation Division of Thumbay Group. Thumbay Builders has large established clients that have ongoing real estate development and improvement projects in United Arab Emirates. Besides extensive construction in India, the company has a long list of clients in the Emirates. It is one of the largest construction companies in the Northern Emirates of the UAE. It offers facilities in designing, developing and constructing real estate. Some of the prestigious projects handled by Thumbay Builders include the Gulf Medical University, GMC Hospital, Thumbay Pharmacy, Body & Soul Health Club, Blends & Brews Coffee Shop and Terrace Restaurant. Thumbay Group is an international business conglomerate headquartered in DIFC – Dubai. The Group has successfully diversified into 13 different sectors in a span of just 17 years. The Group today employs more than 3000 people, which will rise to 6000 with the completion of ongoing projects in the next two years, and to 15,000 employees by the end of 2020. The Gulf Medical University, the leading private medical university in the region owned and operated by Thumbay Group has a student cohort of over 73 nationalities and faculty and staff from over 22 countries. The Thumbay chain of hospitals, the constituent teaching hospitals of the Gulf Medical University, is one of the largest healthcare services provider in the UAE, serving over 2500 patients daily, from more than 175 countries. Apart from being an acknowledged leader in the health sector, Thumbay Group operates a reputed pharmacy chain, diagnostic centres, multi-brand retail outlets, world-class wellness centres, a prestigious chain of coffee shops, restaurants, popular health & lifestyle publication, etc.